Game changers, category creators, wellness mavens – and that’s just your hosts! 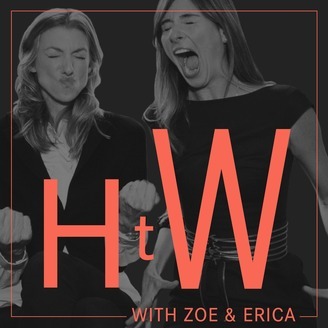 A new podcast series from Zoe Sakoutis and Erica Huss, the founders of the iconic juice brand, Blueprint. 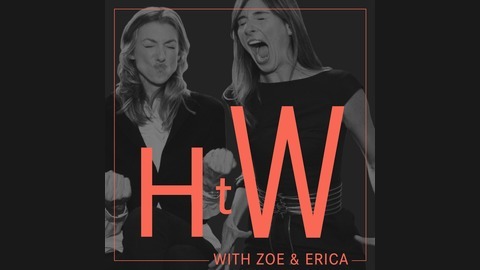 As female entrepreneurs who have been in the trenches of “The Business of Being Well” themselves, they’re bringing their battle-tested point of view to the podcast world, swapping stories with wellness entrepreneurs and industry leaders, striking a healthy balance between snark and sincerity, with a giant dose of genuine curiosity. Join them as they explore the benefits and navigate the pitfalls, detours and dead ends on the Highway to Well. It’s been 11 years since Tiger Woods has won the Masters, and our palms are sweaty over the idea of freestyle rock climbing, but our guest today, Keren Eldad is here to remind us that it’s all possible in the mastering of our mindset. Coach Keren is a trusted advisor to industry-leading executives and superstar entrepreneurs who are setting records at the top of their fields. In her coaching practice, Keren helps her clients make significant breakthroughs in the profitable growth of their business while revitalizing their energy and defining the meaning of their entire lives. It’s a tough job, but Coach Keren is up for the challenge. Having served in the Israeli army and entering into coaching from crisis counseling, Keren believes in service as a way of life, and comes to add value and joy to yours. There’s just something about being around Keren that makes us feel cool, calm, and empowered. In our conversation today, Coach Keren reminds us to go back to the basics of visualization and Wonder Woman pose because they actually work. We now have a partners page full of all the brands we know and love, and they’re offering great discounts just for you! Head over to the website to check out all the great brands and companies we know and love. #38: Dr. Zandra Palma on Clean Spirits. We talk about the Healthiest Cocktail Option (hint: it's not red wine).